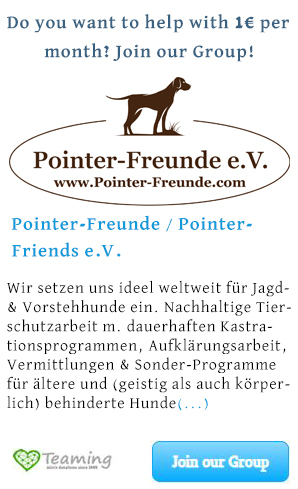 LUCKY, Pointer-Mix, born 06/2018 - Pointer-Freunde e.V. 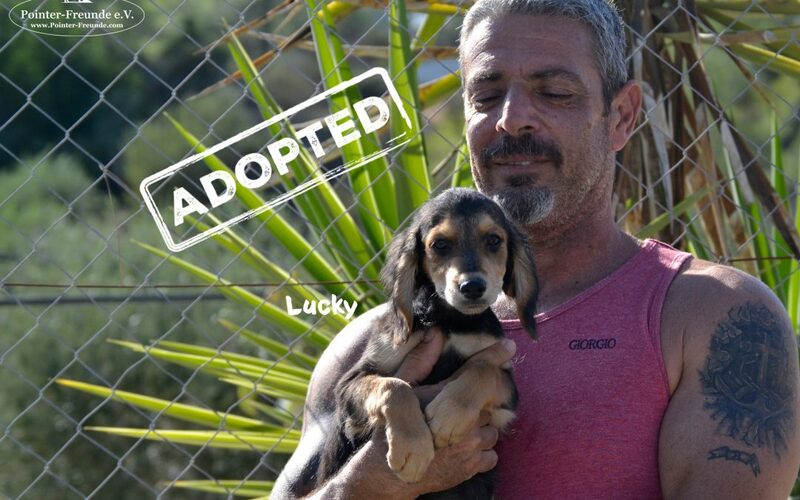 LUCKY and his siblings have been born in a shelter on Cyprus. 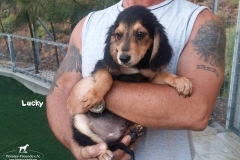 Their mum BEAUTY is only one year old and unfortunately she wasn’t spayed early enough, so now these awesome puppies are searching for their living forever homes. 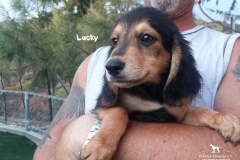 LUCKY is a playful little puppy, getting along very well with other dogs and loving cuddles and human affection. 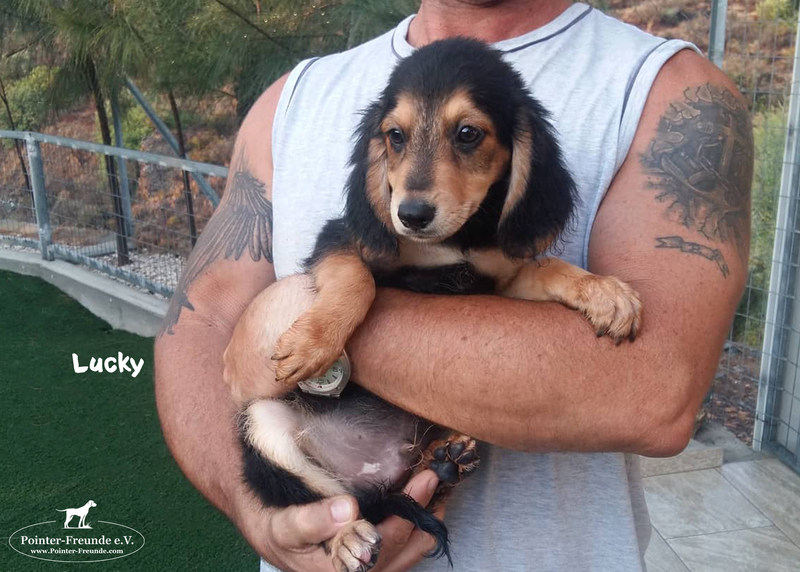 He is the only one in the litter who has a bit longer fur, so maybe another father?! 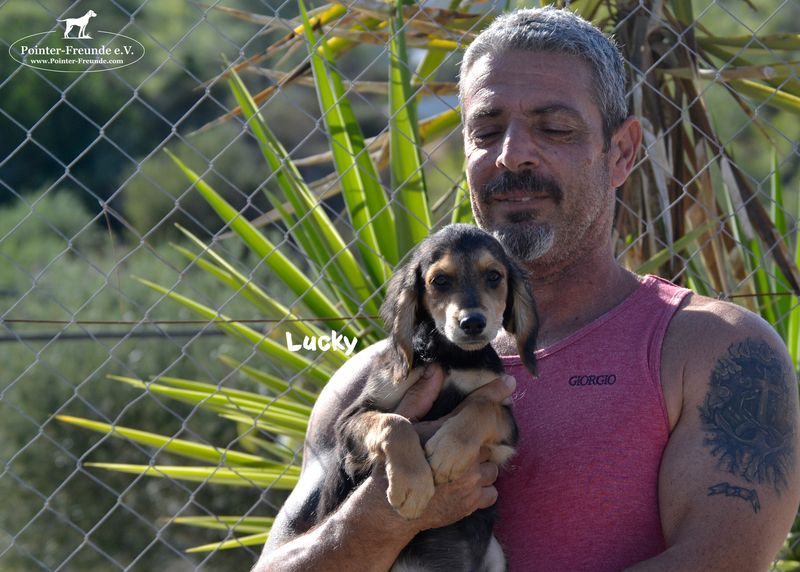 LUCKY and his siblings will be ready to travel in the end of october. They will have their EU-passport, be chiped, dewormed, deflead and have their vaccinations incl. rabies. 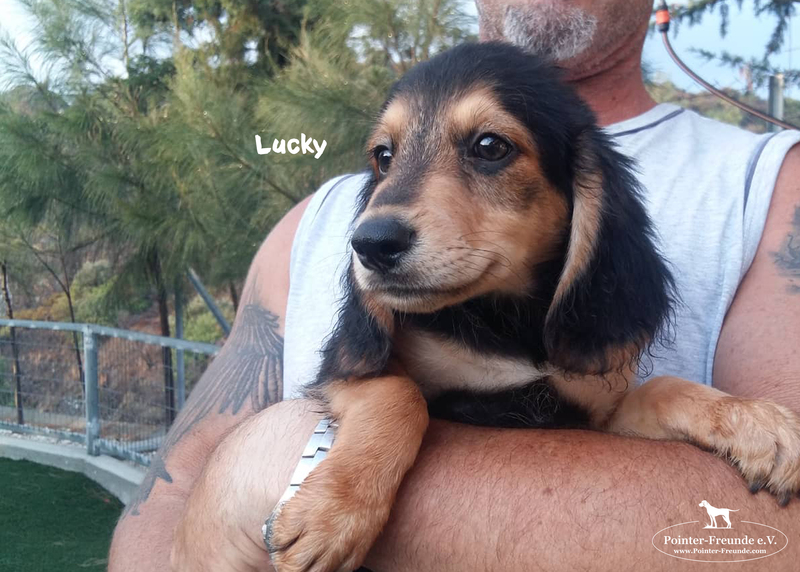 If you have any questions or have already been fallen in love with LUCKY, please contact us anytime.